VOTE TABARES: Silvana Tabares is the Democratic nominee for State Representative of the 21st District in the Tuesday, Nov. 6th General Election. She is a tireless campaigner who has visited all of the neighborhoods in her district. The neighborhoods include Brighton Park, Garfield Ridge, Little Village and suburban areas of Cicero, Stickney, Riverside, Lyons, Summit, McCook, Bedford Park and Bridgeview. TABARES SPENT her whole life on the South West side of Chicago, the place she calls home. Silvana said, “growing up in Brighton Park instilled a sense of commitment and responsibility for my neighbors”; a commitment which continues to steer her today. She was raised under the guidance and support of her single mother. “I learned the meaning of perseverance and hard work by my mother’s example,” said Silvana. AFTER GRADUATING from Lourdes High School, Silvana said she knew she had to pursue a path which would help bring the critical issues of her community to the forefront. TABARES RECEIVED her Associate’s Degree from Richard J. Daley College and her Bachelor’s Degree from Columbia College Chicago. She began her career in journalism. “I began my career by giving back to the community,” said Tabares. Working as a youth educator with WRTE Radioarte 90.5 FM, Tabares taught the skills of radio broadcasting to local youth. “My professional skills helped me prepare young people for employment, and I felt responsible to help them by increasing opportunities for the next generation,” said Tabares. SILVANA began working at the EXTRA Bilingual newspaper in 2008 and was the managing editor of the paper. The EXTRA newspaper received numerous awards under her direction and leadership. Silvana believes her real accomplishments were building bridges within the community, increasing awareness of issues concerning public safety, economic opportunity, education and galvanizing community input around those issues. 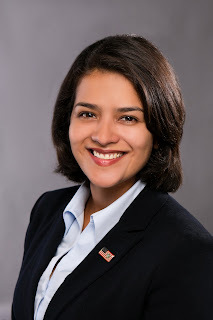 AS THE DEMOCRATIC candidate for the Illinois Office of State Representative of the 21st District, Silvana will bring her experience and dedication to the office. Silvana’s unmatched passion and drive instilled by her upbringing and tempered by her experience, will continue to direct her efforts as the State Representative of the 21st District. ELECT SILVANA TABARES and Punch 31. MEXICAN ICON: Alderman George A. Cardenas [12th Ward] honored living legend and Mexican icon Vicente Fernández, 72, at a special street dedication event in Little Village on Monday, Oct. 22, 2012. The event was held near the famous Mexican Arch on 26th St. & Albany Ave. Although rain poured down on the crowd of 2,000, it did not stop Fernandez from going on with the show. The rain did cause a problem with the audio equipment, forcing Fernandez to sing acapella. The crowd roared. TO HONOR the cultural icon, Alderman Cardenas unveiled new street signs designating the part of 26th Street between 2800 West and 3199 West as “Vicente Fernandez Avenue”. The music legend was given a key to the City and a Proclamation proclaiming the week of October 20-27 as “Vicente Fernández Week” in the City of Chicago. VICENTE FERNANDEZ, known as Chente or El Rey de la canción ranchera [the King of ranchera music] and Mexico’s most famous singer and movie star visited Little Village (the largest Mexican community in the Midwest) to announce his retirement from show business. On Sunday, Oct. 21, 2012 at the Allstate Arena in Rosemont, Illinois, Fernandez held a sold-out performance. The dedication event was hosted by Ald. 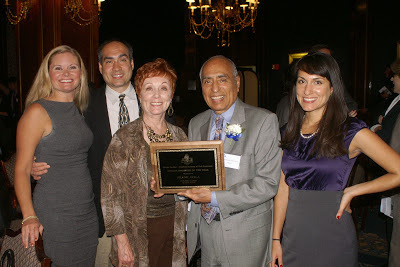 George Cardenas [12th Ward]. State Senators Tony Munoz and Iris Martinez also attended the street dedication. THIS PAST Saturday, the group met in front of the Little Village Community Council, 3610 W. 26th St. and did their warm-up exercises in the Castellanos Elementary school playground. They began running/walking from 26th St. & Central Park Ave. west to Kostner Ave. and returned back east to Albany Ave. and then back to 26th St. & Central Park Ave.
VETERAN’S EVENT: The First Annual “Octoberfest” will be held on Sunday, October 28, 2012, beginning at 12:00 Noon at the Manuel Perez, Jr. American Legion Post 1017, 2658 S. Hamlin Ave., Chicago, IL 60623. Donation: $10.00 per plate. Everyone is invited. MENU INCLUDES: Sauerkraut, Potato Pancakes, Bratwurst/Franks, Pickles/Jalapenos, German Chocolate Cake, Glass of [Berghoffs] German Keg Beer. Beer sponsor Moreno’s Liquors. Raffle, prizes, 50/50 and German Beer Steins. SPONSORS: Dr. Hector P. Garcia AMVETS, Post 326, Manuel Perez, Jr. American Legion Post 1017, M.A.V.A. Mexican American Veterans Association, Military Order of the Purple Hearts. Tail Gate: 12:00 Noon Game Bears vs. Panthers. FOR MORE information contact: Herr Albert Villasenor 522-5471. 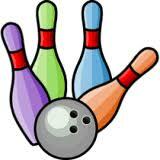 A FUND-RAISER: The OHMS Club of the IBEW Local 134 is hosting a Candlelight Bowling event on Saturday, Nov. 3, 2012. The event will be held at the Grand Palace Bowl, 5330 W. 35th St., Cicero, Illinois 60804. Three games, shoe rental, food, raffles and a cash bar. Dinner is at 8 p.m. and bowling at 9 p.m. Tickets are $35 per person. For tickets contact Ruben Almendarez at 708/269-1512. Or, email bendidez@sbcglobal.net [anytime] for more information or confirmation. If unable to attend the event, and would like to make a contribution towards a raffle prize, or just a donation, feel free to call Ruben. DIABETES SCREENING: St. Anthony Hospital will be doing diabetes screening on Saturday, Nov. 10, 2012 from 10 a.m. to 3 p.m. at the Little Village Community Council, 3610 W. 26th St. Flu shots may be available. No appointment necessary. For more info call 312/286-3405. TO VOTE EARLY, you need to show the election judge a photo ID. Questions? Call 312/269-7900 or log on chicagoelections.com for more information. THE RE-ELECTION of Democratic candidates President Barack Obama and Vice President Joe Biden hinges on a massive Latino voter turnout. The stakes are high and the Latino vote, Latino’s being 17% of the population, is the critical swing vote in this Presidential election on November 6, 2012. Every Latino and/or Latina who is able to vote MUST vote in this election. The power of the Latino vote in America politics must be heard and respected. Latino political leaders, community leaders and civic leaders must strongly tell their respective constituents the importance of voting for President Obama and Vice President Biden. PRESIDENT OBAMA and Vice President Biden represent leadership you can trust in governing the future of America for the next four years. Obama and Biden genuinely care about the middle class, seniors, veterans, unemployed, sick and the underprivileged. 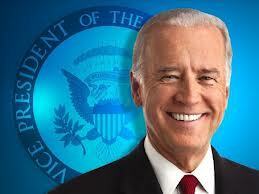 Both Obama and Biden are honest men who continue to work in the best interest of ALL Americans. LET ME REMIND you that in his first term of office, President Obama quickly took action to save America from another economic depression. Obama’s predecessor former Republican President George W. Bush left office with a disastrous bankrupted economy with high employment and a foreign policy in which all European leaders disrespected America; damaging the image and respect of America within foreign affairs. The Bush administration put America into two costly wars—Iraq and Afghanistan-- costing American taxpayers BILLIONS of dollars, not to mention the lives lost of our sons and daughters fighting those wars. WITH RESPECT to Social Security benefits, Medicare and Affordable Care Act, a.k.a. “Obamacare”, President Obama and Vice President Biden will protect these benefits. Obama’s record is clear, he saved the auto industry, put restrictions on the SEC to prevent further “ponzi’s schemes,’ ended the war in Iraq and had terrorist Osama bin Laden killed on May 1, 2011. AND, Obama is committed to end the war in Afghanistan in 2014. In just four years, President Obama’s leadership has restored the respect and trust of America’s foreign policies with foreign leaders. We must vote to continue moving FORWARD! UNFORTUNATELY, the Obama administration has been unable to promote their political agenda because of the gridlock in Congress caused by the members of the Republican Party. Ever since the Republican members took control of the Congress they have stonewalled all of Obama’s economic measures which would have put Americans back to work, giving the middle class and small businesses tax relief. It is the Republicans who are keeping America from moving ahead, economically. America’s middle class are suffering from the politics of the Republican Party. ON IMMIGRATION: The only solution in solving the illegal immigration of undocumented people in America is to give them full amnesty. However, President Obama is unable to support this solution because America’s immigration laws, policies and politics prevent him from supporting amnesty. Obama’s administration continues to challenge Republican controlled states from passing illegal immigration laws, like Arizona, causing hardship to undocumented families. Obama supports the Dream Act, an Act which gives work permits to “dreamers”, students over the age of 18, who ‘dream’ of becoming working professionals. But this is not enough. A BIPARTISAN Congress is needed to give amnesty and full citizenship to illegal immigrants. President Obama has tried to work with Republicans in the Congress, but to no avail. Historically, America has given amnesty to undocumented immigrants under different circumstances. Today, the MAJORITY of undocumented immigrants in America are working, law abiding and consumers who pay sales taxes. Again, in my opinion, these reasons alone qualify them for citizenship. It is time to solve the immigration problem because it continues to drain the resources of America as families suffer. I STRONGLY URGE EVERYONE TO VOTE ON NOV. 6TH, AND I STRONGLY URGE YOU TO VOTE FOR THE TEAM OF PRESIDENT OBAMA AND VICE PRESIDENT BIDEN! whether to allow Chicago to aggregate [to collect into one mass] electrical service. WARD 1: Goldblatts Building, 1615 W. Chicago Ave.
WARD 12: McKinley Park, 2210 W. Pershing Road. 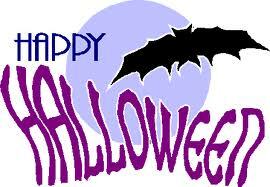 WARD 22: Piotrowski Park, 4247 W. 31st St.
WARD 35: Independence Library, 3548 W. Irving Park Rd. BOXING FANS: The 'Slug Fest' DVD showing between Chico Corrales vs. Jose L. Castillo fought on May 7, 2005 is this Saturday, Oct. 20th at 2 p.m., at the Little Village Community Council, 3610 W. 26th St. FREE ADMISSION. OPEN HOUSE CHICAGO: Visitors are cordially welcome to the Museum of Mexican Culture and History, 3610 W. 26th St. listed on the Chicago Architecture Open House Chicago tour list for this Saturday, Oct. 13 and Sunday, Oct. 14, 2012 from 9 a.m. to 5 p.m. William Luna, Historian and Curator of the Museum, will be greeting the visitors. 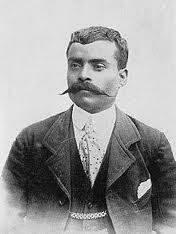 THE MUSEUM of Mexican Culture and History has original photos of the Mexican Revolution of 1910 with Emiliano Zapata and Pancho Villa, Mexican cowboy photos and gear, sombreros’, beautiful color portraits of twelve Aztec Emperors, MAYA calendars, history and paintings, army equipment and photos of Mexican-American Generals and heroes. The traveling museum boards, featuring history on Mexico and Mexican-Americans, will also be on display. “OPEN HOUSE CHICAGO” is sponsored by the Chicago Architecture Foundation and features 150 cool places to visit in Chicago. The experience offers behind-the-scene access to over 150 buildings, in over a dozen communities, across Chicago. You can see some of Chicago’s great places without the wait! CAROLINE STEVENS, is Open House Chicago Program Coordinator and may be contacted at 312/922-3432, ext. 317. For more information log onto openhousechicago.org Curator Luna may be contacted at 773/551-4750. ON RECORD: The 2nd Annual Little Village Expungement Workshop held last Saturday, Oct. 6, 2012 had 101 attendees. Attendees came to the free workshop for assistance on how to expunge their criminal record. “The workshop was a huge success,” said Attorney Jorge Montes, one of the co-sponsors of the event. WORKSHOP SPONSORS were the Little Village Community Council, Attorney Jorge Montes, State Sen. Steve Landek, State Rep. Elizabeth “Lisa” Hernandez, Blanca Jara, Liaison from Cook County Clerk of the Circuit Court, Dorothy Brown; Baltazar Enriques, HOPE Organization; Carlos Charneco, Illinois Dept. 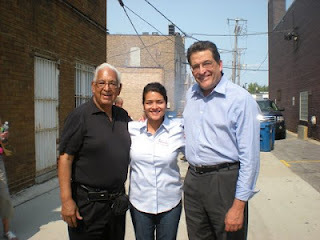 of Employment Security; Rosana Tanon, Secretary of State Office; Ambrosio Medrano, Pilsen community and Reggie Gonzales, Illinois Latino Voice. SPECIAL GUEST were Dorothy Brown, Clerk of the Circuit Court of Cook County and Attorney Adam P. Monreal, Chairman, Illinois Prisoner Review Board. Both Clerk Brown and Chairman Monreal spoke to the attendees. Monreal stayed to help several attendees with their issues. “Chairman Monreal works very closely with me in Springfield on matters pertaining to the expungement of records,” said State Rep. Lisa Hernandez. ATTORNEYS at the workshop were Attorney Jill Roberts, Cabrini Green Legal Aid; Attorney Juan L. Baltierres, J. Fausto Gonzalez and Eric Shah from Stone & Associates. ALSO PRESENT at the workshop were Luis Gonzalez, Employment Service Program Manager, Illinois Dept. of Employment Security; Garry Smith, Assistant Chief Deputy Clerk, Criminal Division, Clerk of the Circuit Court of Cook County/Dorothy Brown; Tanya Fernandez, Expungement Manager, from the office of Dorothy Brown, Clerk of the Circuit Court of Cook County. Cicero Supermercado Torres, owner Adolfo Linares, made a generous donation of water and soda for the workshop. A 3rd Annual workshop is being planned for next year. MANY THANKS was extended to all those who supported the Expungement Workshop and made it a success by August Sallas, President, Little Village Community Council. 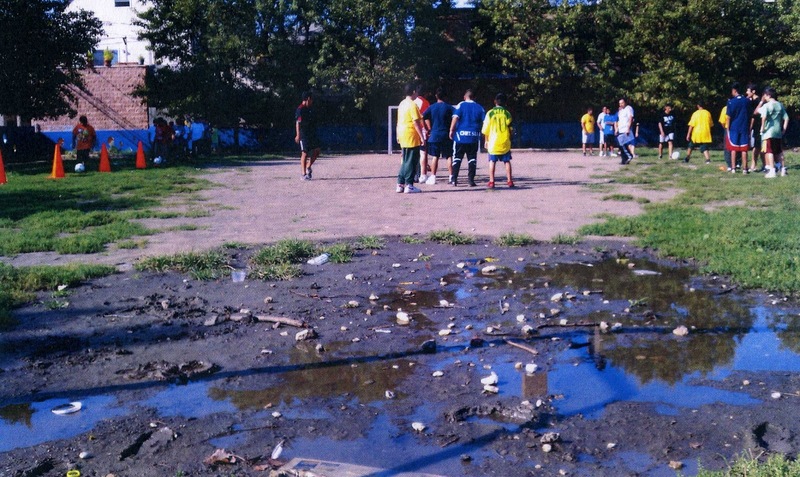 MUDDY PARK: The park at Little Village Academy, 2620 S. Lawndale Ave. is in desperate need of a renovation. Parents and students at the Little Village Academy are circulating a petition seeking support to help renovate their school park. “Every time is rains our park gets flooded and becomes a hazard for our students, said Principal Lillian Lazu, it needs to be upgraded”. TWO STUDENTS have already been injured at the park. One girl student fell and broke her permanent tooth another received three stitches on the base of his head. Kids in the area play soccer at the park using it as a neighborhood park. FOR YEARS, the school has been asking for assistance from CPS and Alderman Ricardo Munoz [22nd Ward] in hope of funding a new turf, similar to that of Gary Elementary. “TAKE A LOOK at the picture of our park and see how our children are forced to play in a muddy field,” said Nora Avila, Parent Advocate/LV Academy. The petition reads, “Our community does not have many parks available and the small park at Little Village Academy is a hazard to our children. Please sign our petition to help us transform our muddy field into a beautiful park which our children and families can enjoy”. FOR MORE information call Nora Avila at 773/534-1899. IAHSE CONFERENCE: The 25th Annual Illinois Association of Hispanic State Employees Training Conference held Friday, October 5, 2012 at the Hilton Chicago Hotel was a successful event. More than 500 people attended. WELCOMING ADDRESS was given by Jose M. Prado, IAHSE Board Vice President; the Presentation of Colors made by the Illinois Dept. of Correction Color Guard; invocation by Father Manuel Dorantes, Associate Pastor, St. Clement Church; Master of Ceremonies was by IAHSE Counsel Jorge Montes, Esq. SPEAKERS were Martha L. Lopez, IAHSE Board President; David Vaught, Director, IL Dept. of Commerce & Economic Opportunity; Judy Barr Topinka, Illinois State Comptroller; Juan Andrade, President, U.S. Hispanic Leadership Institute [USHLI]; Toni Preckwinkle, Cook County Board President and Community Service Award was presented to Carlos Mauricio Olea, Un Buen Doctor Magazine. LEGISLATIVE WORKSHOP: Speakers at the Illinois Legislative Latino Caucus workshop were State Rep. Toni Berrios, State Sen. Willie Delgado, State Sen. Tony Munoz, President Toni Preckwinkle and Juan Andrade. All the Hispanic legislators and Andrade expressed the importance of the Latino vote. LUNCHEON PROGRAM: Lunch was served in the Grand Ballroom and speakers were: Invocation by Father Marco Mercado, Director, Archdiocese of Chicago Hispanic Ministry; Dan Rutherford, Illinois State Treasurer; Welcoming Remarks by Martha L. Lopez, IAHSE Board President; Government Service Award was given to Edwin Reyes, 8th District, Cook County Commissioner; the Hilda Lopez-Arce Hero/ine Award was given to Oscar Chacon, Executive Director, National Alliance of Latin American & Caribbean Communities; Labor Leader, Henry Bayer, Executive Director, Council 31 AFSCME and keynote speaker, Luis Alberto Urrea, an Award-Winning Writer. SEVEN WORKSHOPS, all dealing with issues affecting the Latino community, were conducted during the conference. 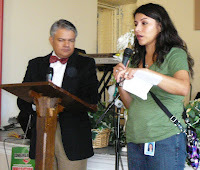 Speakers were Angel Herrera, Jorge Bermudez, Reynaldo Infante, Barbara Baird, Anel Gonzalez, Josette Heredia-Carmona, Mayra Soto-Gonzalez, Arturo Castro, Jim Exby, Lori Pietropaoli and Carlos Gutierrez. THE PROGRAM INCLUDED a Job Fair, Exhibit Area, Networking Reception, raffles and dance. It was an informative and gala event. We congratulate the officers and members of IAHSE for putting on a great conference. RESCHEDULED: The DVD 'Slug Fest' showing between Chico Corrales vs. Jose L. Castillo is rescheduled for Saturday, Oct. 20th at 2 p.m., at the Little Village Community Council 3610 W. 26th St. FREE ADMISSION. FREE WORKSHOP: The 2nd Annual Little Village “Expungement Workshop” will be held this Saturday, Oct. 6, 2012 from 8 a.m. to 5 p.m. at New Life Church, 2657 S. Lawndale Ave. The purpose of the workshop is to help ex-offenders with information on how to clean-up their criminal record. Six lawyers will donate their time to assist, give advice and offer free consultations to ex-offenders. The workshop is bilingual and open to the public. ADULTS AND JUVENILES will learn from experts how to apply for clemency, sealing records and expungement. Other services available for ex-offenders will be information on employment, job training, and health care. Participants must bring their rap sheet to the workshop. HOSTING the expungement workshop is the Little Village Community Council in conjunction with Attorney Jorge Montes, State Senator Steve Landek, State Representative Elizabeth “Lisa” Hernandez, State Representative Democratic candidate Silvana Tabares, Blanca Jara, Clerk of the Circuit Court office and H.O.P.E. organization [Baltazar Enriquez] and Carlos Charneco, Illinois Department of Employment Security, Rosana Tanon, Secretary of State office and SER Jobs for Progress. FOR MORE INFORMATION call Attorney Jorge Montes at 312/850-9844 or 312/286-3405. 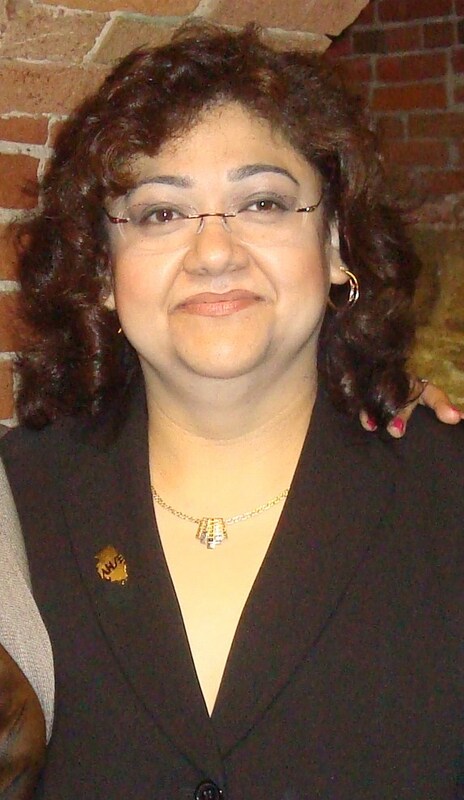 STATE CONFERENCE: The Illinois Association of Hispanic State Employees [IAHSE] will host their 25th Annual IAHSE Conference and Dance; “A Leading Voice—Enlightening a New Generation”. The event will be held this Friday, Oct. 5, 2012 at the Hilton Hotel Grand Ballroom, 720 S. Michigan Ave. from 6:00 p.m. to 11:00 p.m. THE CONFERENCE will conduct a state legislator’s session, workshops, an award luncheon and job fair. There will be plenty of networking opportunities and information on upward mobility. The celebration dance will have live music presented by Everaldo y Su Flota and DJ music by D.J. Lopez. IAHSE has a membership of 500, mostly state employees. Board meetings are held monthly and the mission of IAHSE is to properly serve the Latino communities statewide, involvement with getting bilingual pay for state workers, passed the Hispanic Employment plan requiring state agencies and universities to report on their efforts to hire more Latinos. IAHSE BOARD of Directors are Martha L. Lopez, President; Jose M. Prado, Vice-President; Veronica Aguirre, Secretary; Rosario Guerrero, Treasurer and Carlos Charneco, Past President. OPEN HOUSE CHICAGO: The Museum of Mexican Culture and History, 3610 W. 26th St. has been listed on the Chicago Architecture Open House Chicago tour list for Saturday, Oct. 13 and Sunday, Oct. 14, 2012 from 9 a.m. to 5 p.m. Historian and Curator of the Museum, William Luna, may be contacted at 773/551-4750. CHICAGO ARCHITECTURE Foundation is presenting the “Open House Chicago” featuring 150 cool places to visit. The experience will offer behind-the-scene access to over 150 buildings, in over a dozen communities, across Chicago. See Chicago’s great places and spaces without the wait! FALL FEST: State Senator Steven Landek [11th District] and the Democratic Party of Lyon Township hosted “Fall Fest Open House” Sunday, Sept. 16, 2012 at the Democratic Party of Lyons Township Office, 7678 W. 63rd St. in Summit, Illinois. Friends, supporters and visitors enjoyed an old-fashion cookout while meeting many November 2012 Democratic candidates. DEMOCRATIC candidates at the cookout were U.S. Congressman Dan Lipinski, Speaker of the House Michael Madigan, State Representative Michael Zalewski, State Representative [21st District] candidate Silvana Tabares, Recorder of Deeds candidate Karen Yarbrough, Cook County Assessor Joe Berrios, Cook County Commissioner 16th District Jeffrey Tobolski, Judicial candidates Ed Maloney and Terry Gallaher, Township Supervisor William “Bill” Mundy and Lyons Township officials and local officials. Sen. Landek represents part of the 22nd Ward/Little Village. More than 150 people attended the cookout. CTU STRIKERS: Starting on Sept. 10, 2012 and for seven days the Chicago Teacher’s Local 1 Union members went on strike. Here are some Little Village teachers who walked off their jobs in protest of the unfair treatment by CPS. CTU members began voting on a 3-year contract Tuesday, Oct. 2, 2012. CTU President Karen Lewis refuses to predict if the contract will be ratified, but hopes it would. WILDCATS: The Fraternal Order of St. Francis Wildcats will celebrate a Memorial Mass at 9:00 a.m. on Sunday, Oct. 14, 2012 at the John Paul II Newman Center, 700 S. Morgan St. at the University of Illinois at Chicago. The celebration is in memory of Wildcat members and some friends of the Wildcats who have passed. Included in the Mass will be the memory of Father Pat McPolin who died this year. After Mass a breakfast will be served in the dining room. For more info contact Memorial Mass Chairman Rudy Aguirre at 708/749-2814. GRANDES PELEAS: A DVD slugfest from video archives of the bouts between boxer Diego “Chico” Corrales vs. Jose L. Castillo and Julio Cesar Chavez vs. Miguel Angel Gonzales will be featured in a matinee showing at 2:00 p.m. at the Little Village Community Council, 3610 W. 26th St. 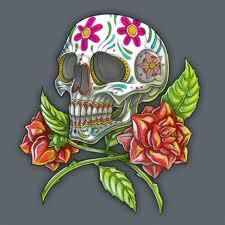 The matinee will be Saturday, October 13, 2012. Free admission. CORRALES was an American boxer. He received the prestigious “Fight of the Year” award for his acclaimed lightweight bout with Jose Luis Castillo on May 7, 2005. Both boxers fought toe-to-toe throwing hard combinations and power punches throughout the entire fight. A rematch between Corrales vs. Castillo was dubbed “The War to Settle the Score.” Corrales, 29, was killed riding a 2007 Suzuki motorcycle in an accident near his Las Vegas home May 7, 2007. If you are boxing fan, mark your calendar now, you don’t want to miss seeing this fight.